The new policy entails globalising India’s agriculture even as issues of farmers’ incomes, debts and suicide remain unresolved. Amidst deepening agricultural distress, the Indian government is gearing up for an anti-farmer move under the garb of “doubling” farmers’ income by 2022. The new agriculture policy, which had been in talks since the past one year, is currently under inter-ministerial consultation after having received the go-ahead from the Prime Minister’s Office, and is likely to be placed before the Union Cabinet soon for approval. “This is a highly sensitive adventure the farmers will be trapped in and ultimately will have no choice but to commit suicide,” said Dr. Sunilam, activist and former Samajwadi party MLA. The Modi government through this move hopes to cement a more “liberal” agriculture trade policy to bring about predictability and enable exports to more markets. In doing so, the government is perhaps miscalculating the difficulties in suddenly globalising India’s agriculture when issues of farmers incomes, debts and suicide remain unresolved. The government’s Doubling Farmers’ Income (Volume IV) report last year stated that India’s exports policy “does not promote agricultural trade but is mainly used to control prices in the domestic market”. For instance, a three-year ban on non-basmati rice exports during 2008-11 amid a rice glut led to a “notional loss of $5.6 billion”. The government claimed that such moves were causing disruptions to trade and are creating unpredictability for importing nations. India’s proposed move towards a liberal agricultural exports regime will require the government to fix permanent threshold quantities of farm commodities that will be free from any kind of trade restrictions. If implemented, this will be a critical shift away from past policies because the country will have to keep a certain level of farm exports going even when the supplies are low, for example during drought. India in the past had curbed farm exports to ensure that the domestic prices were in check. The new policy will make a departure from this approach, leaving many on the ground uncertain about the results it will bring. Jaswinder Singh from the All India Kisan Sabha (AIKS) explained, “This liberal policy push is only going to deepen the agricultural crisis in the country.” He explained that this will be the case as the farmers will not be given the complete benefits and will merely become pawns in the name of globalising the nature of Indian agriculture. 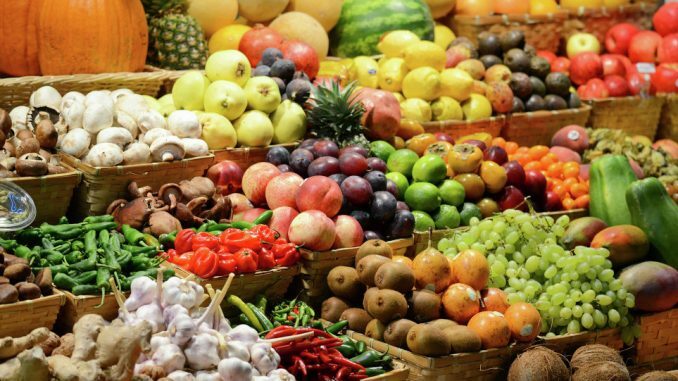 The new agriculture export policy is likely to free up most commodities other than staples from frequent export bans, meaning that processed as well as organic food will now be totally deregulated and will be made conveniently exportable. Dr. Sunilam added, “The international market is very competitive and volatile. In the system here, there is enormous power in the hands of the contractors.” The Indian agrarian sector is currently gripped by market imperfections, lack of transparency and information asymmetry among farmers and contractors with the middle men often rigging the system to their advantage. The policy if implemented would mean that the farmers will have to be made aware of international prices and demands, burdening them further in a system that is crumbling on their heads. Besides, this, the government would also have to resolve multiple complex issues such as liberalised land-leasing laws and coordination with states, since agriculture lies in the domain of state governments. To top that, many rival global producers have complained about Indian state support and falling global farm product prices that undermine export prospects. As the farmer grapples with falling domestic prices for produce, Modi government’s new move could be the final blow to the distressed farmer.